Please enter the email address that is registered with your Wilsonart.com account. You will be sent an email from Smartline@wilsonart.com with a link to reset your password. Colors on screen may vary from actual product. This reconstituted oak has a relaxed straight grain and medium texture. 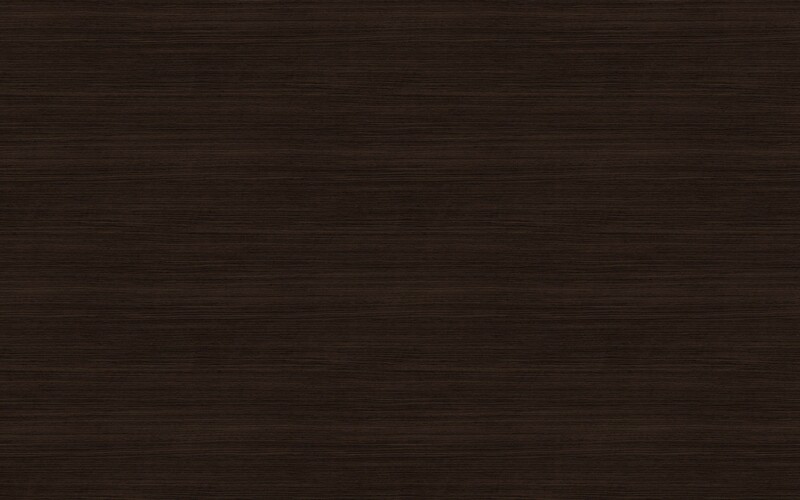 It has an overall espresso background with light brown rays. Approximate Design Repeat Width*: 62.2"
Approximate Design Repeat Length*: 49.2"
This product features AEON™ Scratch & Scuff-Resistant Performance Technology when purchased with 01 Gloss, 07 Textured Gloss, 12 SoftGrain, 16 Casual Rustic, 18 Linearity, 19 Leno Weave, 21 Soft Silk, 22 Antique, 28 Gloss Line, 35 Mirage, 52 Quarry, 55 Glaze, 57 Aligned Oak or 78 FineGrain. See Pattern Availability below for complete details. This is a large-scale design. Click on image for full sheet layout. Woodgrain laminate designs turned sideways for better yield. See Pattern Availability below for complete details. Third-party certification available for this product. See Technical Specs & Certifications below. 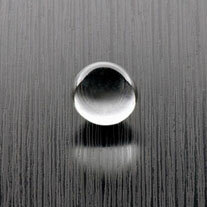 Chemical-Resistant Laminate for environments where chemicals are used. The toughest solution for high-impact vertical surfaces. A laminate that meets or exceeds the fire codes across the country. 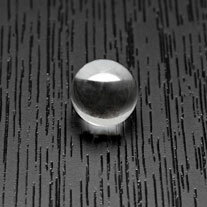 An innovative new option combining a vertical grade laminate and adhesive into one product. Extreme abrasion resistance for high traffic commercial projects. This design is part of our Coordinated Surfaces program so that you can value engineer your projects. -- Size --15/16 in. X .018 in. 2 in. x 3 in. 3 in. x 5 in. 8 in. x 10 in. Not all finishes available in all types. Check Pattern Availability below for specifics. 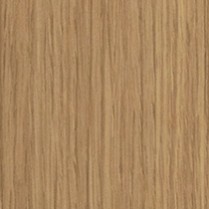 Product Type 335Vertical Grade Postforming Laminate (VGP) .028"
* Premium Laminate are priced higher than standard laminates. Consult your fabricator for pricing. ** Crossgrains carry an 8 sheet minimum order. IMPORTANT NOTE: Availability is subject to change without notice. Product Type 350Horizontal Grade Postforming Laminate (HGP) .039"
Product Type 107Horizontal Grade Standard Laminate (HGS) .048"
Product Type 390Chemsurf Post-forming Performance Grade (brown phenolic core) .034"
Product Type 604Fire-Rated Performance Grade Laminate .032"
Product Type 605Fire-Rated Performance Grade Laminate .048"
Product Type 607Fire-Rated Performance Grade Laminate .059"
Product Type 735RE-COVER™ Laminate .032"
Product Type HW350High Wear Cove Postforming Performance Grade Laminate .040"
Premium Laminate are priced higher than standard laminates. Consult your fabricator for pricing. 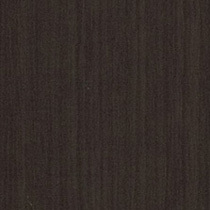 Product Type HW335High Wear Vertical Postforming Performance Grade Laminate .028"
Product Type HW107High Wear General Purpose Performance Grade Laminate .050"
IMPORTANT NOTE: All TFL designs are available in the following finishes: 7, 12, 16, 18, 19, 28, 38, 60, 78. Availability is subject to change without notice. 38  15/16" x .018"  1-5/16" x .020"
*all designs available in additional finishes (with longer lead times and increased minimums). Consult your sales representative for details. Wilsonart LLC (“Wilsonart”) warrants to the original consumer purchaser for one (1) year after date of purchase (“Warranty Period”) that, under normal use and service, Wilsonart® Laminate Sheets are free from manufacturing defects and conform to published specifications. This warranty applies only to a Wilsonart Laminate Sheet which has been installed in an interior application and remains installed at that location (“Warranted Product”) and is extended only to, and may be enforced only by, the original consumer purchaser. THIS WARRANTY IS NOT TRANSFERABLE. This warranty is expressly conditioned upon submission of proof of date of purchase. Wilsonart will provide, at no cost and with delivery prepaid, a Wilsonart® Laminate Sheet to replace the Warranted Product. Wilsonart will not pay for removal of the Warranted Product or for fabrication or installation of the replacement laminate or any other costs. No replacement under the warranty shall extend the Warranty Period. Any replacement is limited to colors and styles of Wilsonart® Laminate Sheets available at the time of replacement. Exact color matches may not be possible. If the original color or style is no longer available, Wilsonart has the right to substitute another Wilsonart Laminate Sheet of equal or greater value than the Warranted Product. To make a claim under this warranty, you must contact the Wilsonart Warranty Center at the address listed below before the end of the Warranty Period. You must provide proof of date of purchase, photographs of the Warranted Product and access for inspection for warranty determination by a Wilsonart representative, and thereafter Wilsonart will provide you a determination on your claim. THE FOREGOING SHALL CONSTITUTE THE EXCLUSIVE REMEDY OF THE PURCHASER AND THE EXCLUSIVE LIABILITY OF WILSONART. THE ABOVE WARRANTY IS EXCLUSIVE AND IN LIEU OF ALL OTHER EXPRESS WARRANTIES WHETHER ORAL OR WRITTEN. ANY IMPLIED WARRANTIES WHICH MAY ARISE BY OPERATION OF LAW, INCLUDING THE IMPLIED WARRANTIES OF MERCHANTABILITY AND FITNESS FOR A PARTICULAR PURPOSE, ARE LIMITED IN DURATION TO THE PERIOD OF THE WRITTEN WARRANTY SET FORTH HEREIN. WILSONART SHALL NOT, UNDER ANY CIRCUMSTANCES OR UNDER ANY LEGAL THEORY, BE LIABLE TO THE PURCHASER OR ANY OTHER PERSON FOR SPECIAL, INCIDENTAL OR CONSEQUENTIAL DAMAGES OF ANY NATURE, INCLUDING WITHOUT LIMITATION DAMAGES TO, OR LOSS OF USE OF, PROPERTY, DAMAGES FOR LOSS OF PROFITS OR REVENUES OR ANY OTHER DAMAGES ARISING FROM THE PURCHASE. WILSONART'S LIABILITY WILL IN NO EVENT EXCEED THE PURCHASE PRICE OF THE WILSONART® PRODUCT. Some states do not allow limitations on how long an implied warranty lasts or the exclusion or limitation of incidental or consequential damages, so the above limitations and exclusions may not apply to you. This warranty gives you specific legal rights and you may also have other rights which vary from state to state. No agent, dealer, employee or representative of Wilsonart nor any installer, fabricator or other person is authorized to modify the warranty in any respect. The invalidity of all or a part of any of the provisions of the Limited Warranty shall not affect or invalidate any other provision of the Limited Warranty. For further assistance or questions, contact Wilsonart at the address or telephone number listed above or at www.wilsonart.com. Wilsonart LLC (“Wilsonart”) warrants to the original consumer purchaser for one (1) year after date of purchase (“Warranty Period”) that, under normal use and service, Wilsonart RE-COVER Laminate Sheets are free from manufacturing defects and conform to published specifications. Manufacturing defects also include the adhesion of the tape to the backside of the decorative laminate. This warranty applies only to a Wilsonart RE-COVER Laminate Sheet which has been installed in an interior application and remains installed at that location (“Warranted Product”) and is extended only to, and may be enforced only by, the original consumer purchaser. THIS WARRANTY IS NOT TRANSFERABLE. This warranty is expressly conditioned upon submission of proof of date of purchase. 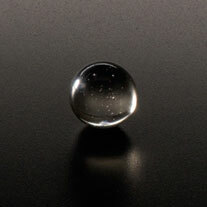 Adhesion of the product to any specific substrate or application. Wilsonart will provide, at no cost and with delivery prepaid, a Wilsonart RE-COVER Laminate Sheet to replace the Warranted Product. Wilsonart will not pay for removal of the Warranted Product or for fabrication or installation of the replacement laminate or any other costs. No replacement under the warranty shall extend the Warranty Period. Any replacement is limited to colors and styles of Wilsonart RE-COVER Laminate Sheets available at the time of replacement. Exact color matches may not be possible. If the original color or style is no longer available, Wilsonart has the right to substitute another Wilsonart Laminate Sheet of equal or greater value than the Warranted Product. THE ABOVE WARRANTY IS EXCLUSIVE AND IN LIEU OF ALL OTHER EXPRESS WARRANTIES WHETHER ORAL OR WRITTEN. ANY IMPLIED WARRANTIES WHICH MAY ARISE BY OPERATION OF LAW, INCLUDING THE IMPLIED WARRANTIES OF MERCHANTABILITY AND FITNESS FOR A PARTICULAR PURPOSE, ARE LIMITED IN DURATION TO THE PERIOD OF THE WRITTEN WARRANTY SET FORTH HEREIN. WILSONART SHALL NOT, UNDER ANY CIRCUMSTANCES OR UNDER ANY LEGAL THEORY, BE LIABLE TO THE PURCH ASER OR ANY OTHER PERSON FOR SPECIAL , I NCIDENTA L OR CONSEQUENTIAL DAMAGES OF ANY NATURE, INCLUDING WITHOUT LIMITATION DAMAGES TO, OR LOSS OF USE OF, PROPERTY, DAMAGES FOR LOSS OF PROFITS OR REVENUES OR ANY OTHER DAMAGES ARISING FROM THE PURCHASE. WILSONART'S LIABILITY WILL IN NO EVENT EXCEED THE PURCHASE PRICE OF THE WILSONART RE-COVER LAMINATE PRODUCT. 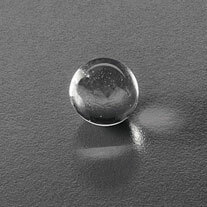 To clean the surface, use a damp cloth or sponge and a mild soap or detergent. Rinse thoroughly with warm water and wipe dry. Difficult stains such as coffee or tea can be removed using a mild household cleaner and baking soda; mixing to achieve a paste consistency. Use a stiff nylon bristle brush, scrubbing (approx. 15-20 strokes) the affected area. Do not scrub so as to mar (damage, scratch) the surface finish. Stubborn stains that resist any of the above cleaning methods may require the use of undiluted household bleach or nail polish remover. Use a cotton ball saturated with bleach or nail polish remover (acetone), gently rub the stain for up to two minutes. Rinse thoroughly with warm water and wipe dry using a soft cloth. This step may be repeated if the stain appears to be going away and the color of the laminate has not been affected. Prolonged exposure of the laminate surface to bleach will cause discoloration. 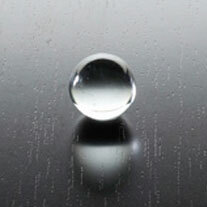 Always rinse laminate surfaces after cleaning! 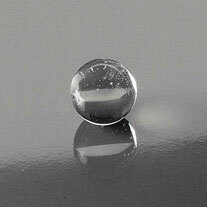 Failure to rinse after cleaning can cause damage; even if a small amount of cleaning solution remains on the surface. A dry residue may be invisible; however, moisture from cups or drinks can reactivate it, and result in permanently etched scars or stains over time. Hot pans and heat-producing appliances (such as electric skillets), when set directly upon countertops, can mar the product's beauty. Always use a heat shield, hot pad or trivet. Acidic or abrasive cleaners can damage laminate surfaces; do not use them. Drain cleaners containing lye will permanently damage the laminate surface. If you spill a drain cleaner, wipe it up immediately and rinse several times with water. Hair, textile and food dyes can cause permanent stains. If dye should happen to spill, wipe it up immediately with dishwashing detergent or an all-purpose cleaner. Do not work with oven cleaners on an unprotected countertop. Wipe spills away promptly and rinse several times with water. Rust removers contain harsh chemicals, which will quickly cause permanent damage. If a spill occurs, wipe off all residue immediately, wash thoroughly with soapy water and rinse several times. Steel wool and other abrasive pads will damage the laminate face. 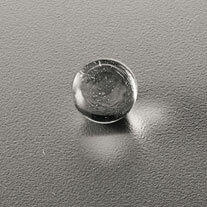 Do not use them for cleaning and don’t store steel wool pads on your countertop; the metal can rust and leave stains. Toilet bowl cleaners contain harsh chemicals that can cause permanent damage. If spills occur, wipe up immediately, wash surface with soapy water and rinse several times.